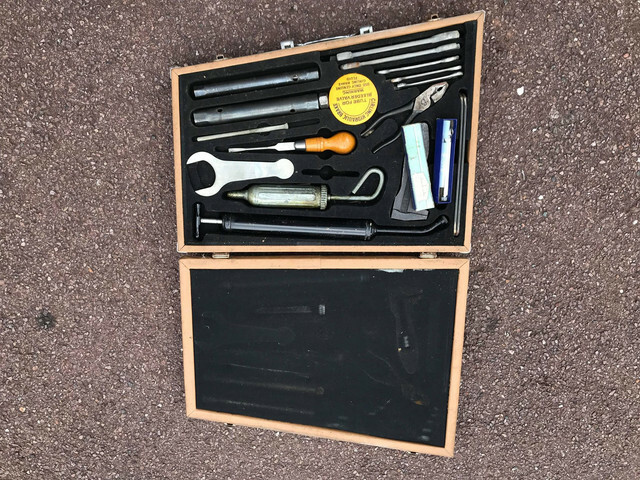 So today I came across this tool kit and the old gentleman said it was from a Damimler but I cant find any information on it and thought you guys might be able to shed some light and information on it. Just a update, I purchased this tool kit from a gentleman who offered it to me for a price, when I purchased it I knew nothing about the item and he was fully aware I was going to sell it on. I have listed it on ebay to sell hence why I have asked for information. If this is not permited then please feel free to delete the post instead of just leaving negative comments. Looks like a Regency or 104 kit to me. ........................so that you have more information for your E Bay listing???? Why could you not have just come clean with us? Just a request for information? I feel sorry for the poor old gentleman. I'm confused why would I need to come clean, i'm still interested to know what its for. Is it against site rules to list an item you want information on? Dennis put " Just a request for information? I feel sorry for the poor old gentleman", well Dennis i would think you are more than the age of his father as i would guess mid forties. Scot we have a sale section on here which is free but you like ebay, trouble is we have all sorts on here that ask for advice about parts or cars we help for free as we like to help. They go from one idea to another and finish up dismantling a car that could be restored and selling numerous times on ebay, they give us their reasons but the bottom line is profit and we have lost another car. 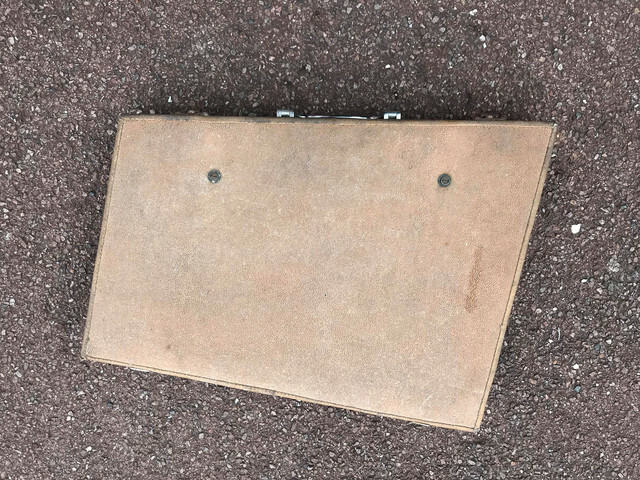 You seem to have some idea as to what car the tool kit fitted so why not put it to us as possible Regency, WE all go on ebay so you were bound to be seen. Clearly the oldman gave you advice be "honest" so here is some more treat others as you would like to be treated . You joined to find out the information as your joining date show's we may never hear from you again but that's life but that is not stopping us helping others. They go from one idea to another and finish up dismantling a car that could be restored and selling numerous times on ebay, they give us their reasons but he bottom line is profit and we have lost another car. Hi Peter i'm still confused as to how I've not been honest? I've asked for information on a tool kit that I want to sell as the guy I purchased it off did not know. I don't understand why everything has to come across as a conspiracy nowadays, I did not know that I had to also tell people it was on ebay? I could sell it in the forum but at the time I had no idea of its value hence why people sell it on ebay. What ever the rights and wrongs of this posting, at the very least the kit has been well aired on this forum and will give some one with a 104 a chance to buy a kit if they want one, at the present for not much money.